Hi everybody! I hope you're all doing fantastically well. I don't usually upload new posts on Thursday, but the day that this post is being uploaded marks A level results day in the UK. This is the day that students aged 16-19 at college will receive their A level results, and will likely be sitting refreshing UCAS at 8am to find out their grades! If that is you, then I'd like to take the opportunity to wish you a huge well done! If you got the grade you wanted and whether you are going to university or not, congratulations!! On the other hand, if you left the hall disappointed then it's important to remember that the letters on paper are not the end of your story. You are entitled to be upset and disappointed, but try not to dwell on it if possible as there are plenty more options including access courses, resitting modules and finding a different university during clearing. Backtrack four years to my results day and I was super happy, I found out that I'd got into my firm choice before going into school to receive my grades. I was delighted that I was going to be studying at my university of choice, as I'd been hoping to study at a university local to me and commute daily. The one thing that I hadn't anticipated when I started university in October was the fast decline in my mental health. I don't want this post to be one of those negative rants about my life, but it was really, really tough. I left my comfort zone entirely, a new place of education; more difficult work and my entire support network had split up to study elsewhere. I was an anxious mess. I hid my anxiety from everybody, hoping that I would 'settle in' to university and it would go away, but it didn't. Four years later, I still suffer from complex mental illness. 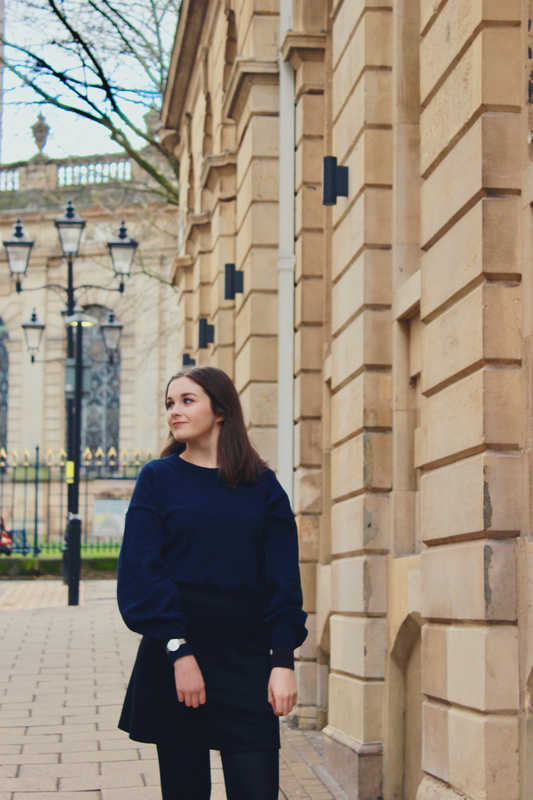 There's so much about mental health at university that I wish I'd known about at the time, and this is why I really wanted to write this post. Whether you have a diagnosis of a mental illness at this time which you're trying to control, whether you're suffering in silence, or whether you're just reading this post in hope that you can help somebody else; I really hope that you are able to take something from this post. It actually took me until the fourth year of my degree to find out that my university had free counselling for all students. When I was at breaking point, I booked an appointment to see a counsellor and I had an appointment the following week, from application. This length of waiting list is much smaller than that of the NHS, so it's worth knowing where you can go to sign up, even if you don't feel you need it at this present time. My counsellor was a fantastic listener, gave me a load of useful resources including online CBT and paper resources for calming an anxiety attack. I was also referred to the university's mental health specialist, so that she could look into exceptional circumstances. Many universities do actually make adjustments for mental health illnesses, whether it's extended deadlines or more time in exams. As a super shy individual, I found that this point actually really helped me. Make sure that you go to see your personal tutor (you should be allocated somebody when you start!) and openly discuss your issues and worries with them. Personal tutors should be trained in pastoral support so, therefore, they should be able to guide you in regards to the best points of contact for problems that are out of their control. Likewise, if you have difficulties with the actual course, make sure to get in contact with the corresponding module leader and either email them or use their office hours to gain access to the support that you need. The staff really are there to help, and they want you to do well! I know, the age-old cliché, but it's vital that you continue to look after yourself whilst at university. I think this is more so the case if you're living away from home and in halls. It's so important that you eat nutritiously, drink lots of water and keep up with your coursework. Here's some easy advice; be careful with the takeaways, buy fruit as snacks (bananas are super cheap) and take your own meals to the library rather than buying meal deals. It's also really important that you are able to juggle your studying with looking after yourself and relaxing. This is something that I really struggled with, and believe me, to be overworked is not a nice feeling at all. What I find helps me is to make a timetable of work, so that I am able to schedule in time to relax and do whatever I please, whether it's reading a book (but under no circumstances can this be a text book!) or going to the shops. Additionally, make sure that you have plenty of time to socialise, in whatever format makes you happy. But, please, don't give into social pressure! At university, particularly in first year, there can be a lot of parties, getting drunk and clubbing. But whether that's not your scene, or you just don't feel like it on some days, make sure that you're able to say no. I've had far too many nights out where I've thought that drinking will cheer me up, but I've ended up crying in a nightclub toilet at midnight. Not fun, and not cool at all. There's nowhere I'd have rather been than my bed! This is more so aimed at individuals who already have a diagnosis of a mental illness and are actively treating it. Please, make sure to get in touch with services local to the university! Make sure you are registered with a GP nearby to where you're studying so that you can get your medication, and if you wish to do so then ask them for a referral to a counsellor/therapist. I know that some of my friends would travel home to go and visit a therapist they were with there, although whether this is plausible for you likely depends on a variety of factors including how far away you live, the frequency of visits and how well you feel like you connect. Make sure you make the effort to keep in contact with family and friends as a source of social support too. Arrange visits to and from home to keep your head held high! Are you going to university this year? Or, if you've already been, what would your advice be for new starters? I'd love to hear your thoughts in the comments! This is such an important post! I thought University would be all fun and games, but it took such a toll on me and was the hardest three years of my life. One thing that really helped me was giving myself a break when I needed it. Even if I had three assignments due, I would give myself the afternoon off if I was feeling too overwhelmed. I always managed to get everything done in the end, and got much better grades than I did when I was frantically trying to push my anxiety away and force myself to work. This is such a helpful post. I really struggled with my mental health this year at university, and I really want to have a better year in that respect come September. My one piece of advice would be to just ask. I was terrified to talk to uni about what I'd been struggling with, but I really didn't need to be! They're so used to all of this, and now I have the right things in place to help me out academically and socially if things get bad again. It is so important to look after your mental well being, especially when you're in college. If something happens, it can drastically change your college path going forward (eg. grades going down/etc). YES on communicating with others - especially course staffs. It's OK to say no! You're not obligated to go anywhere you don't want to. Thanks for sharing these positive tips! As someone who struggles with mental health and stresses easily and is about to start university, this was a really important post for me to read and I can't thank you enough for writing it. I feel like anyone going to Uni will find this post helpful. In the lead up to going to university no one speaks about the mental health aspect of it but literally everyone I know who I went to uni has suffered with mental health problems. This is such a great post on a really important issue. My mental health was fine whilst at uni but found it dipped after I left! I'm doing okay now. It's all the change...it really throws you off! Thanks so much Tish! I agree so much, I wasn't prepared for university at all! Thanks Fatimah! Mine didn't have a mental health society either, but you could always set one up! I am sorry that you had to deal with that Chloe, I too had to deal with my mental health issues in college and was one of the biggest struggles of my life. I remember the first year of school I could hardly get out of bed to get to my classes. Often times I'd show up late, and have to give the instructor some BS excuse because I was to embarrassed to tell him the truth. Once the semester was over, I finally came clean, and he was so great about it. He helped me get help too. Thanks for sharing! This blog post is great!! I know when I first started university I struggled with the pressure and didn't look after my mental health so when I went into the second year I made it my priority to focus on my mental health, sometimes just taking a break and going home for a few days to have some home comforts and a hug from my mum. I think those that are going to university this September need to know that if they do need some time away it is okay, it isn't giving in it is just looking after yourself and giving yourself a break from all the pressure! Also, your points on speaking to your personal tutor are great. When I was struggling with personal issues I went to my personal tutor a few times and he was amazing! I didn't go to uni, i did a higher education course at college but the measures in place for students mh was shockingly terrible. When students reached out to their tutors for help or to inform them of their mh struggles they really didn't care! Thanks so much for your comment Amy! Going home can be such a good idea at times! Fortunately as a commuter I was always 'home', but sometimes it would do me the world of good to not go in for a couple of days if I needed to. Thats' horrible to hear Ellie! This is a great resource for students! I live in the US, so this was also helpful to understand the process of testing and going to university. One thing that is universal, though, is how much stress can come from higher education. It’s almlst refreshing to know that people from all over the world have the same pressures, and that there are also similar, if not identical, fixes. Thanks for this! I've just finished my first year at uni and during that my mental health did take a big hit. The only thing out of this list I did was to look after myself. Hopefully, I can pick up some courage next year to speak to someone professional about it all if it gets too much, my mother keeps telling me too. I think the only thing that got me through first year and my mental health was talking to one of my friends about everything who understands exactly what I feel. These were some great tips! Omg I've been working on a similar post for my University's newspaper haha - great minds! 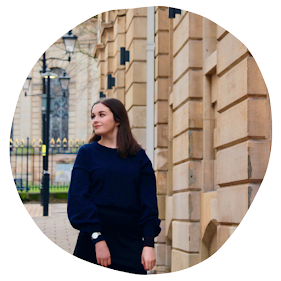 It's so important to look after your mental health at University, and I was so clueless my first year. It wasn't until second year that I realised what I needed to do to make my mental health a priority. This was a great post! Thanks so much Alex, I'm glad they still come in useful! Thats' such a shame to hear, I must admit I'm shocked to hear that! As a uni graduate, I cannot agree more with you that university can screw your mental health. You have put so much detail and effort into this post, very very well done. I think the most important point you've made is the last one - because if you don't maintain a recovery plan then recovery is far more difficult. Another important thing is not obsessing with getting the best marks and not comparing your progress with other people's. It takes a while to adjust with university marking! Bad grade doesn't make you a failure. This was such a good read! I graduated back in 2016 - oh my god doesn't time just fly by! - but I remember my first year and how bad it was for me. I already suffered with anxiety so it didn't surprise me too much when I went to University but not even being able to leave my bedroom in halls was how bad it got for me. You're absolutely right though, there's a lot of help that you can get at Universities. Great Advice! This is so important!! University can be massively stressful and self care takes a major back seat sometimes, it's so important to make sure you look after your mental health!! Wow, this was such a nice post. University can be all fun but at the same overwhelming. For me, to be honest, My campus life has been fun as I was still exploring and learning about other cultures ( I study abroad) but until I got into my last year(currently) that is when things took a 360 turn. I got into deep depression because of some issues that were happening in my life but thank God, I got through it majestically.